With the compact FX10 hyperspectral cameras from Specim and the complete CVS HyperInspect systems, STEMMER IMAGING is exhibiting multi-purpose possibilities for hyperspectral imaging at VISION 2016. In relation to the development of imaging from monochrome via colour to 3-D image capture, this technology represents the next evolutionary step: Machine Vision 4.0. Hyperspectral imaging mainly differs from image processing in the visible, UV or IR range in that more than 100 different wavelengths are used for the analysis of the results. This always requires the use of a spectrograph, which splits the light containing different wavelengths into its spectrum. This spectrum is subsequently captured via the sensors of the cameras employed and allows an analysis of the inspection objects. In the field of hyperspectral imaging, STEMMER IMAGING has compact FX10 hyperspectral cameras from Specim and the complete CVS HyperInspect system in its product range. 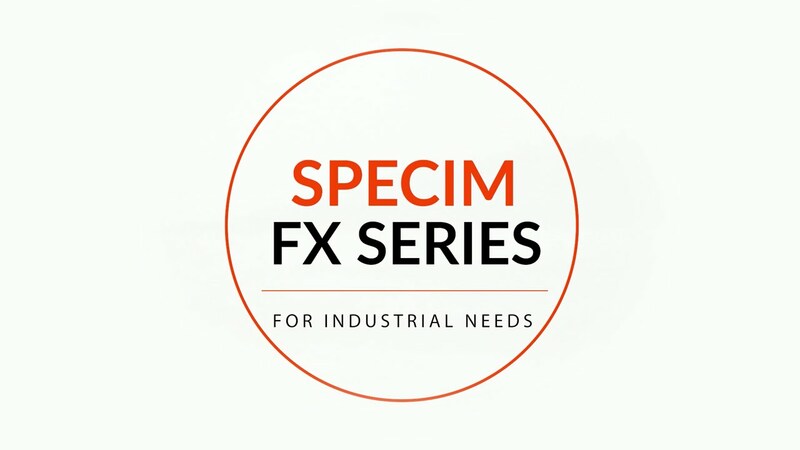 The FX10 hyperspectral cameras form the Finnish manufacturer, Specim, were developed for the wavelength range of 400 to 1000 nm and are characterised by the feature that the spectrograph is integrated into the camera housing. Due to a patented process, however, the new FX10 exhibits an extremely small size of only 150 x 85 x 71 mm. Users of this new camera series have the option to select and evaluate those wavelengths out of a total of 220 that are best suited to a particular application, based on the material properties of the inspection object. The number of selected wavelengths has a direct influence on the speed of the solution: the lower the number of wavelengths selected for the inspection, the faster the evaluation. If the user utilises all 220 wavelengths, then the maximum capture speed of the Specim FX10 is around 330 frames per second. and if 5 wavelengths are selected in 3 different ranges, 6510 frames per second can be achieved. CameraLink is currently used as the interface for the image data transport; models with a GigE connection are also expected to be available from the end of 2016. Other highlights of the FX10 include specially adapted C-mount optics, an outstanding signal-to-noise ratio of 600:1 as well as calibration by the manufacturer. This guarantees identical results even if a camera module has to be replaced due to a failure or maintenance of the system. The FX10 hyperspectral cameras from Specim, including imaging software and SDK, have been available from STEMMER IMAGING since mid-2016, where users can also procure the necessary frame grabbers and cables from a single source, which significantly facilitates entry into hyperspectral imaging. 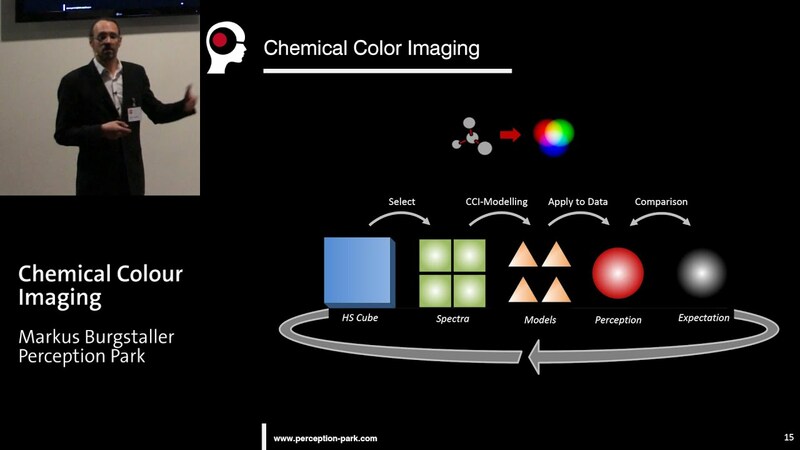 Together with Austrian company Perception Park, STEMMER IMAGING has developed a solution for hyperspectral imaging in the SWIR range from 900 to 1700 nm. The basis of the CVS HyperInspect vision system is a generic, intuitively configurable data processing platform from Perception Park, which provides scientific methods for analysing hyperspectral image data in encapsulated form. With this software users have the option, without expert knowledge of spectroscopy and chemometrics, to make use of hyperspectral vision systems and their results. This software serves as the basis for the systems that STEMMER IMAGING extends to form complete hyperspectral systems by the addition of hardware components such as suitable CMOS and InGaAs industrial cameras, illuminations, lenses, frame grabber cards and imaging computers. Hyperspectral vision systems analyse the molecular properties of the inspection objects and create a “chemical fingerprint” of the materials. Through the evaluation of over 100 wavelengths, they open up further areas of application that cannot be solved with conventional systems. Examples of uses for this technology are the classification of plastics during recycling, applications in the food sector and also the identification of materials of all kinds that exhibit virtually no differences in the real image, for instance in mining, in the pharmaceutical industry or in the medical sector, amongst others.